I don't need a new job where I travel all the time. Since I've had a new baby this year, I find myself becoming more of a homebody. But y'all-- Counselor Fly-Ins are hidden treasures! 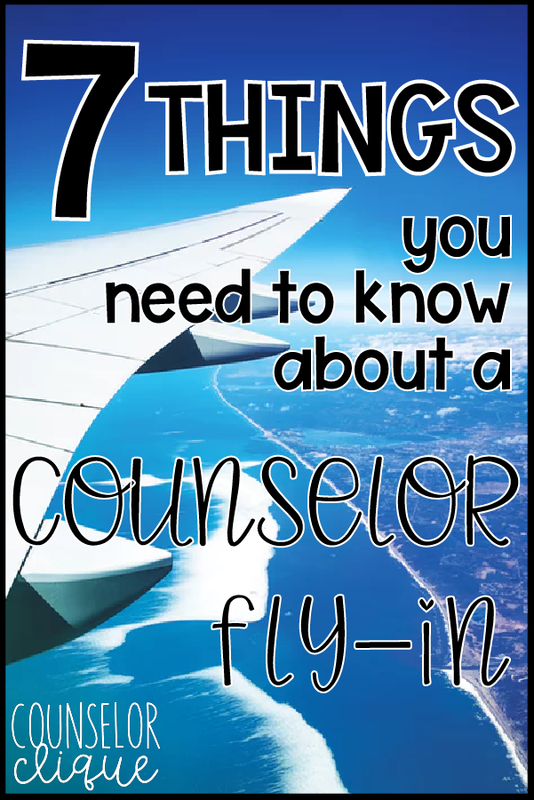 1- What is a Counselor Fly-In you ask? Basically, a school's admission team flies a group of high school counselors to their university's campus to sweet talk them about their school in hopes that the high school counselors would, in turn, sweet talk their students into applying or attending. It's a great ploy, really it is... especially when you visit somewhere warm and sunny like Florida just as cold winter rain begins in South Carolina. 3- How did you get chosen? The college sent out an email, and I selected all of the dates I could attend given the opportunity. I was honestly pretty flexible since it was a few months out. I'm sure the admissions team is pretty strategic about who is coming on their trips and when. For example, there were not multiple counselors from my seven-counselor-department coming on this trip with me. I was also the only school counselor from my state on this weekend trip. I bet if you're a counselor from farther away or a place where the school is specifically trying to recruit students from, you might be a hotter commodity. I'm sure more goes into this part that I'm not aware of. I'll claim ignorance. This is just one school counselor's perspective. 4- How did you get there? An admissions rep (or student in the admissions office) called me one day and asked when I wanted to fly out and where I wanted to fly out of. She gave me a couple different options that would work with our visit's itinerary, and I said, "YES, YES, and YES," and the rest was history. Flight was booked in my name to and from and transportation was provided by a car service to and from the airport. They contacted me the night before both trips to confirm and give me direction, and I can't speak highly enough of how organized the travel and transportation was. I also got to count the airline miles on my account! What a treat! 5- Where did you stay? The admissions team booked a block of hotels near the university. I got to use my Marriott points here, too! If you wanted to extend your stay before or after the Fly-In, you were welcome to. I think if I were to do it again, I'd think about coming earlier in the weekend to spend some more time in a new city! 6- What activities did they have planned? We went on SUCH a fun boat tour on the evening of our arrival, AND they took us out to dinner. We got to really see the city and have dinner with an admissions rep (the one at my table was in grad school and had done her undergrad there as well). The next day was ACTION PACKED. We met at 7:20 in the morning and headed to campus and toured ALL DAY! Totally worth it to see the classrooms, meet professors, talk to students, eat in the dining hall, shop in the bookstore, and experience some unique traditions of the campus. 7- Who all was there? As I mentioned before, I was the ONLY one from my state which surprised me! There were high school counselors, independent college consultants, and college counselors from all over the country including California, New Hampshire, Connecticut, Minnesota, and more! I loved the adventure of meeting new people and hearing about their school setting, their student caseloads, and their school counseling programs. The trip in it's entirety was about 36 hours. I left on a Sunday afternoon and got home on Monday night. I missed one day of work (professional development, duh!) but got to come back and share with my colleagues and students. It was a whirlwind, and (let's be real here) my suitcase sat with dirty clothes in it for a few more days before I could get to the laundry. 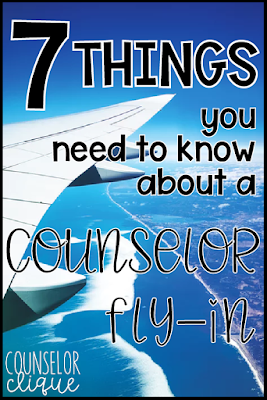 It was SUCH a unique experience, I immediately came home and tried to get my name on a few more Counselor Fly-In lists. I'd encourage you to network around and see if anyone you know has been on any of these and can recommend specifics to you! Thanks for a great article! I've read the same kind of news here you can view more and also found lots of interesting facts there. How to Make the "I Applied! Bulletin Board"